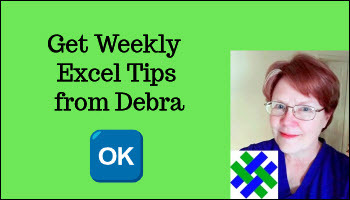 In an Excel pivot table, you can group dates, number and text fields. For example, group order dates by year and month, or group test scores in bands of 10. You can manually select text items in a pivot table field, and group the selected items. This lets you quickly see subtotals for a specific set of items in your pivot table. When two pivot tables are based on the same Excel Table as source data, by default, those pivot tables will share one pivot cache.If you group the dates in one pivot table, those dates will be automatically grouped in the second pivot table, because of the shared pivot cache. To focus on specific data in an Excel pivot table, you can add one or more Report Filters. To focus on specific dates or date ranges in an Excel pivot table, you can add use Date Filters. Click the checkboxes in the list of dates, or enter a specific date range, or choose a dynamic date range..